NEW DELHI: Highway construction and expansion in the country touched 10,800 km in 2018-19, which translates to nearly 30 km per day making it the highest pace of construction during the NDA regime. In contrast, the previous UPA regime saw maximum highway construction in 2012-13 when the government added and expanded 5,732 km of roads. A comparative analysis of the recent data also shows that during the last year of the current regime of NDA ending March 31 highway construction was almost two-and-a-half times more than the total construction reported during 2013-14. For Narendra Modi government, the huge jump in highway construction is one of the major achievements, which it is highlighting in its poll campaign. TOI has learnt that the maximum length of highway construction has been reported from highway minister Nitin Gadkari’s home state, Maharashtra (approximately 2,100 km) during 2018-19. 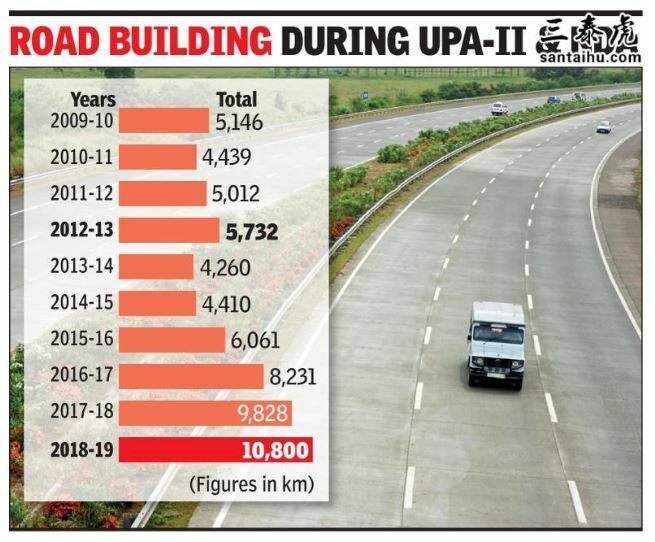 Data show that during five years of UPA-II a total of about 24,690 km were build or widened while during the current NDA regime the total construction touched nearly 39,350 km, which is an increase of about 70%. 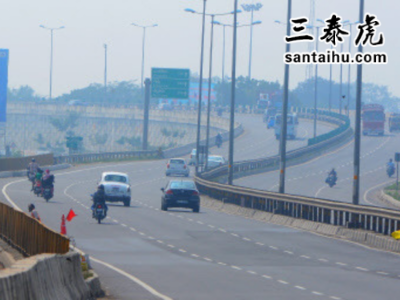 Unlike the developed countries where highway construction usually means laying of new roads, highway development in India is largely focused on widening of existing roads. So much corruption opportunity lost for khangress. Huge infrastructure development during NDA 5 years, yes failed in providing enough employments but these infra developments sure surfaced employment in coming years. Road building pace is fine.. Govt should plan for getting rid of toll collections after the costs have been recovered. Else at one point, people would have to pay even to step out of their house..
Congres and leftists believe that making good roads is a waste because it will be used by the rich people owning cars only. They forget that there is a middle class which uses the roads for transportation and commuting too! We have seen tremendous explosion in road building in Gujarat over the last two decades and hence Gujarat has progressed a lot better than other states! Credit goes to Nitin Gadkari. Great Job, indeed - team Chowkidar Modi. Keep adding up inckuding Bharat And Sagar mala highways in the next 5 years. Wherever, i went people said - MODI, MODI. Probably same amount of money was used during he congress days, BUT half of it went to corruption! They should also build footpaths in all major cities! Good Achievement. 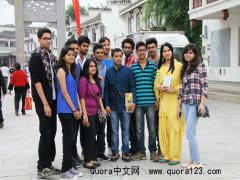 Border roads specifically around China has to be strengthened. All towns, villages and cities should a connection to highways. namo''s bjp constructs 30 km road a day. scamgressis looted 30 kg of rs 1000 notes every single day. All fake , there is Bombay Goa highway started work in 2013 and still not completed halfway mark . The Road development started in UPA time, It is natural in initial period the pace will be slow, when a kid born,he don''t run, he takes baby steps, after 2-3 years he tried to stand and then walk and then starts to run. More infrastructure means country is developing very fast. except in Assam where it's still at snail's pace..